For thousands of Christians over the last century, Charles Haddon Spurgeon's Morning and Evening has been a daily devotional guide through life's ups and downs. New generations can once again enjoy Spurgeon's beautiful prose and elegant command of the English language in this completely revised edition. Morning and Evening offers readers the best of Spurgeon's insight and wise counsel on themes that are as relevant to our day as they were in his day. 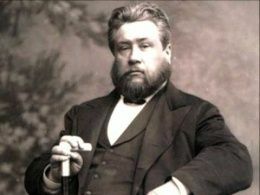 In this updated version, Spurgeon's work is returned to its former brilliance while retaining the beautiful language of the original King James Version.